The 2019 edition of the conference comes at a time of heightened regional activity. The Egypt Petroleum Show (EGYPS) 2019, the top oil and gas conference and exhibition in Egypt, is being opened by the country's president Al Sisi February 11 and will last until the end of the week. NGW will be represented at this important East Med event by its features editor, Charles Ellinas, who will also be chairing two leadership panel discussions on the first two days. 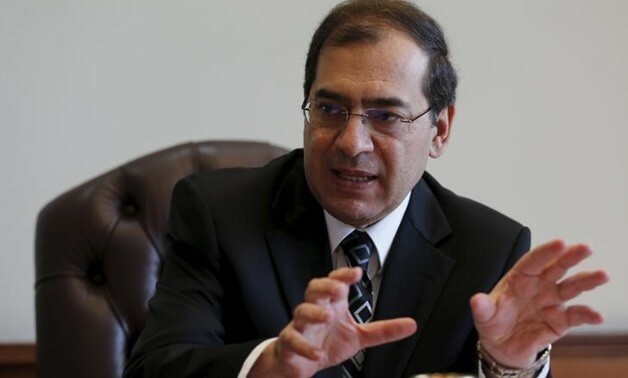 Ahead of the conference, in a wide-ranging interview earlier this month, Egypt’s minister for petroleum, Tarek El Molla, spoke about the country’s oil and gas achievements in 2018 and plans for 2019. The great success of 2018 was accelerating natural gas production, which by the end of the year reached 6.6 bn ft³/d, exceeding domestic consumption for the first time since 2014. This helped Egypt become self-sufficient, stop LNG imports in October and re-start exports. By January Idku LNG plant was exporting 0.52 bn ft³/d. An indication of this increased confidence is that Egypt has restarted gas exports to Jordan. The development of Zohr is reaching its final stage, expected to achieve 3.2 bn ft³/d plateau production by the end of 2019. But Zohr is not alone. Other notable gas-field development successes include: North Alexandria, Nooros and Atoll. Development of West Delta Deep Marine gas-fields Giza and Fayoum was completed last year, and came onstream February 11, with Raven to be added this year. In addition, Shell is progressing 9B, the former BG asset. Egypt has also done well reducing its debt the international oil companies (IOCs). By June 2018 it was down to $1.2bn, the lowest level since 2010. The country also enhanced E&P agreement models to attract more investment. These, combined with exploration successes and healthy gas prices, has increased IOC interest and participation in E&P tenders. Between June 2014 and June 2018 the country signed a total of 63 new agreements. In addition, about $10bn went on E&P and field development during the financial year 2017/2018 and similar levels of new investment are expected during the current financial year 2018/2019. This has led to new exploration bidding rounds that include the Gulf of Suez, Western Desert, Eastern Desert, Nile Delta and Mediterranean. Bids are now under evaluation. In support of the plan to turn Egypt into the eastern Mediterranean’s regional energy hub, the country has been promoting cross-border pipelines and gas projects with Cyprus and Israel, which are now at an advanced stage. The culmination of these efforts was the founding of the East Med Gas Forum at the end of 2018, with Cairo as its base, with the aim to be "an international organisation that respects the rights of members with respect to their natural resources in accordance with the principles of international law, and support their efforts to benefit from their reserves and use of infrastructure." This also includes “commitment to paving the way for fruitful co-operation in the technical and economic fields, with a view to efficient exploitation of the gas potential in the region." EGYPS 2019 comes at the right time, bringing together global business leaders covering the entire value chain, upstream, midstream and downstream. It provides the best platform to discuss these latest industry trends and how these can benefit the development of Egypt’s oil and gas sector. NGW will be there to report on new insights that emerge from this conference.